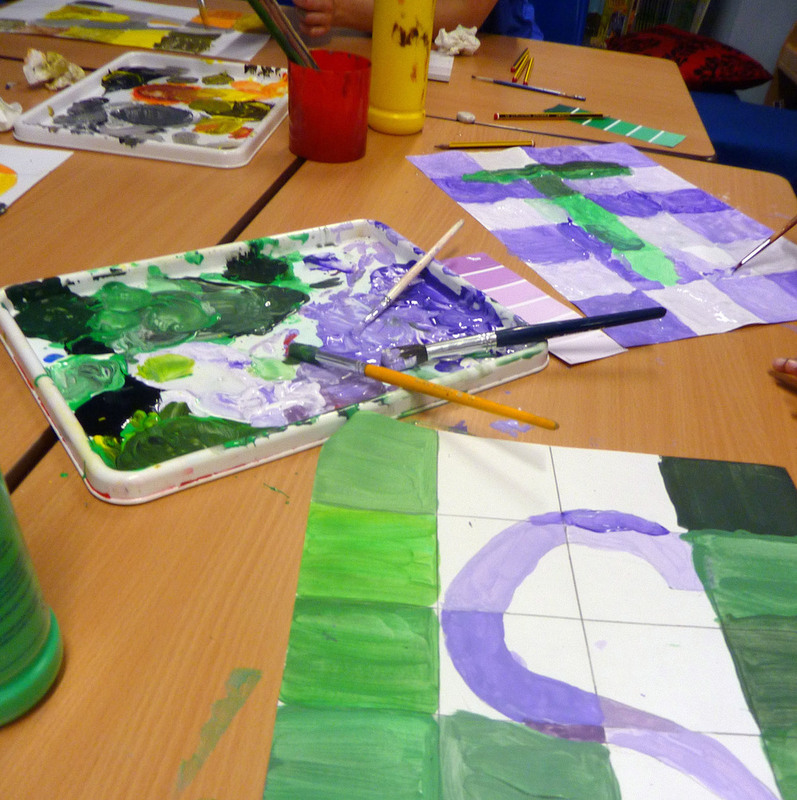 This project was commissioned by Bow Arts and Bygrove Primary School. 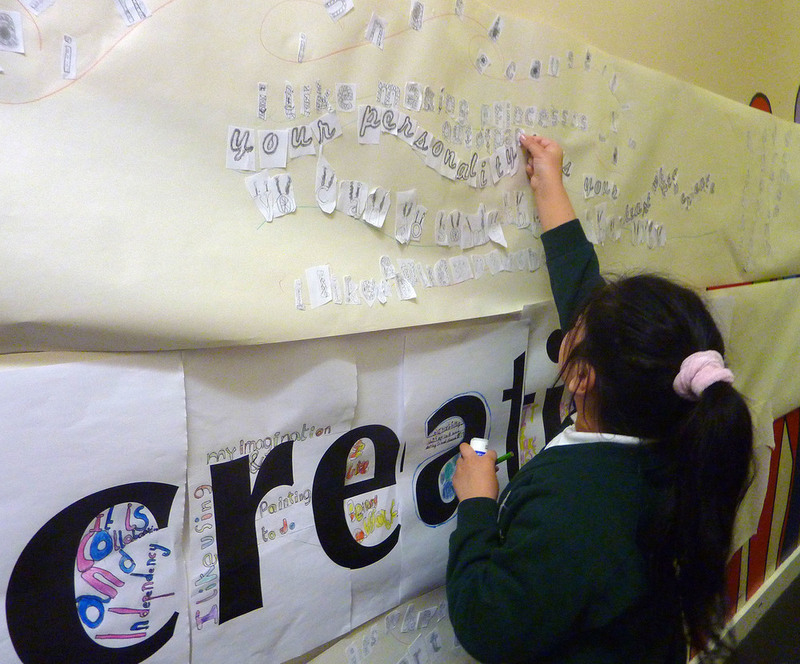 The school had collected pupils responses to the question "What Does Creativity Mean to You?" 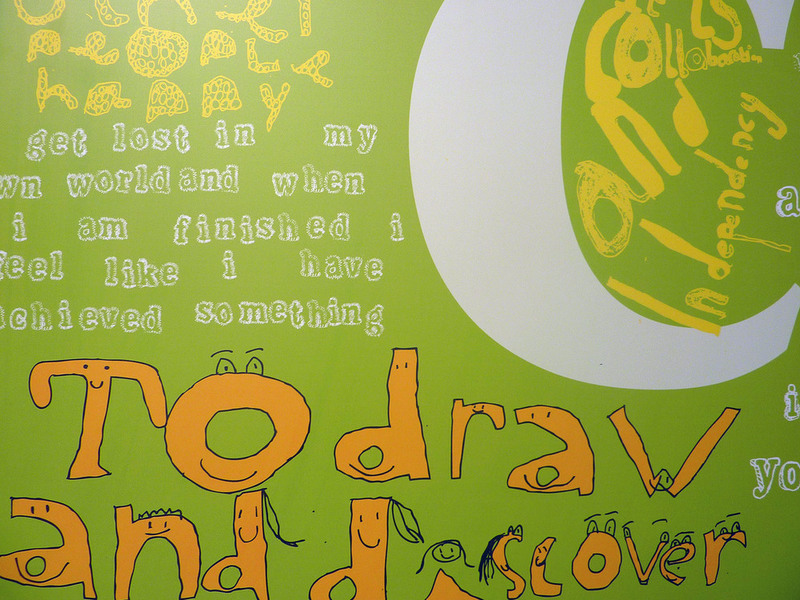 with so many great answers - the school wanted a large text mural in the corridor. 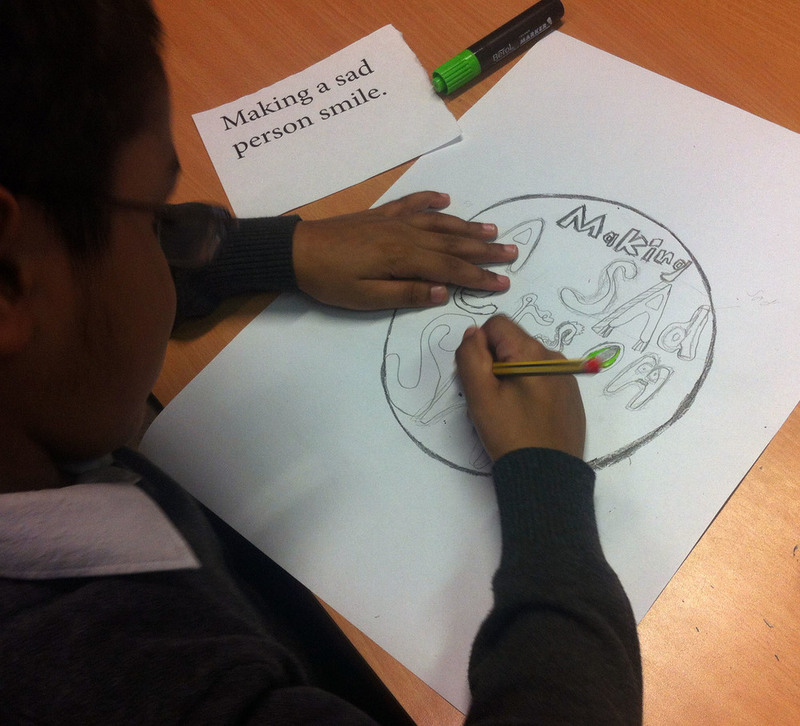 The process involved students from every year group. 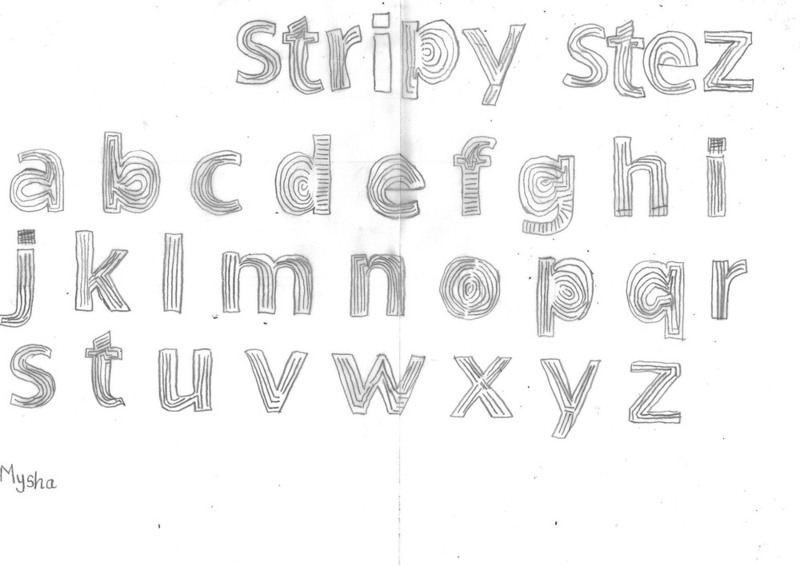 I worked closely with them to teach them about typography and it's basic principles. 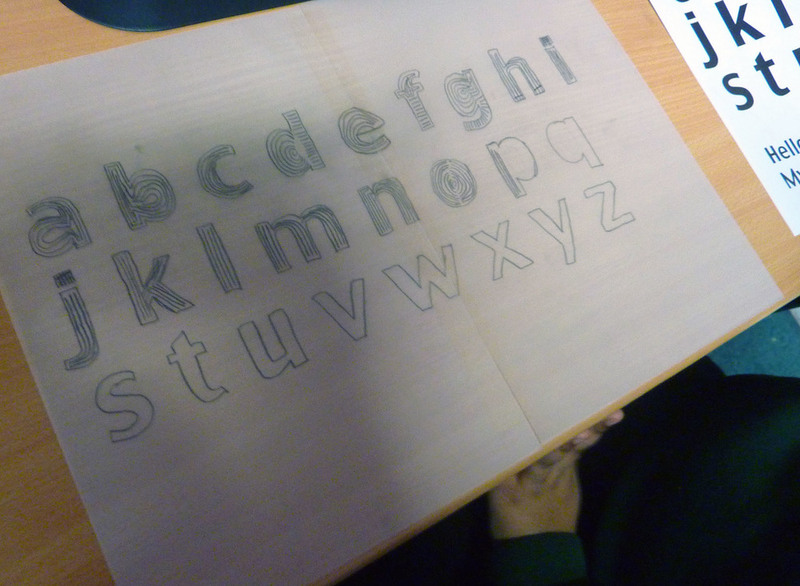 I ran 6 sessions with the school where they created their own typefaces and explored letterforms, discovered illustrative lettering and made colour decisions based on exploration and colour mixing. 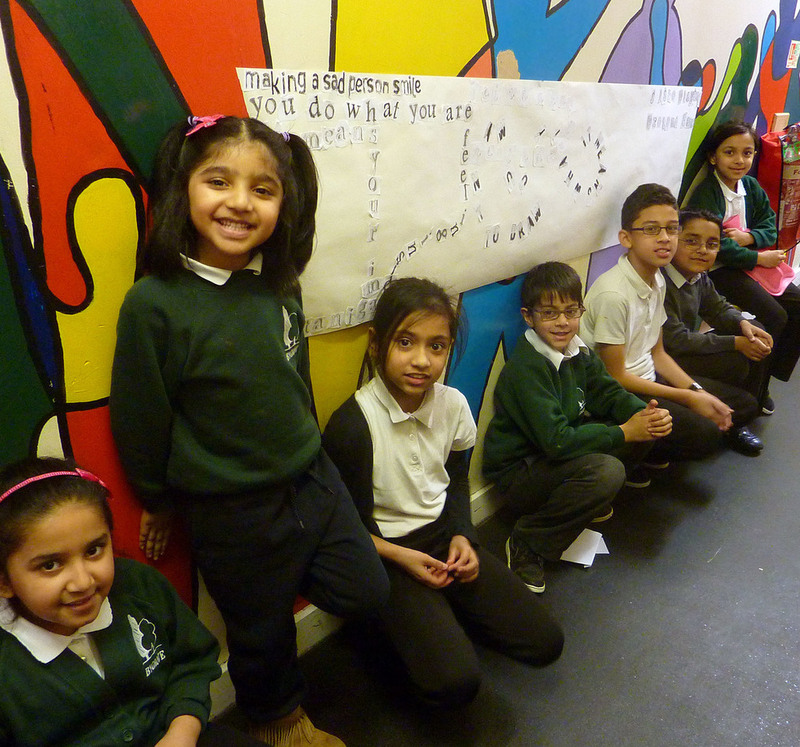 I carefully collated all of their brilliant work and ensured they helped me visualise the finished composition. 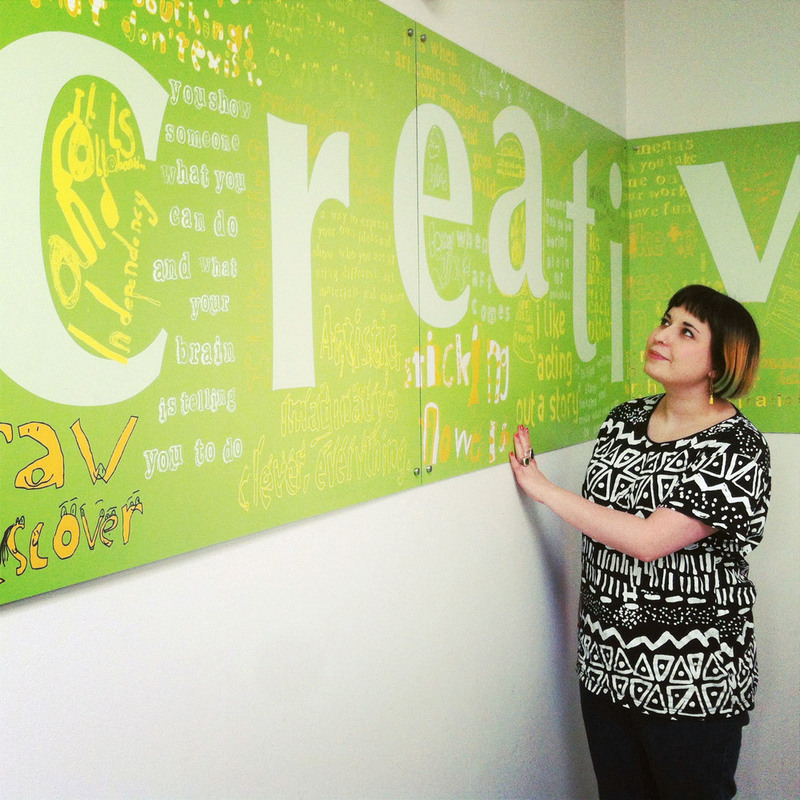 We drafted a mural in their corridor and cut and stuck their unique typefaces to form the mural around the large letters of 'Creativity'. 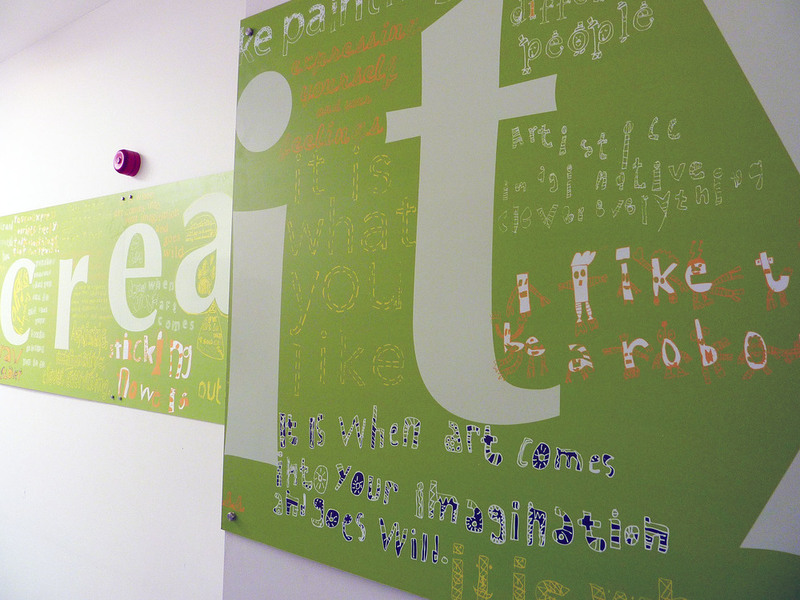 The finished piece was comprised of their own typefaces, and composition - artworked digitally and printed onto dibond panels.